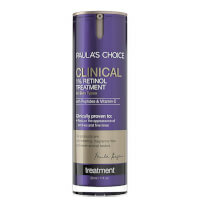 Shop Paula's choice skincare range and enjoy a free Resist Anti-Ageing Skin Restoring Moisturiser when you spend £40 on the brand. Feed your skin with this nourishing serum, rich in omega fatty acids, potent antioxidants and skin-restoring ceramides. Great for dry, dehydrated skin that has lost its vitality. "Our only goal is to help you find the absolute best products for your skin"
Combination skin got you down? Discover the Hydralight Collection. Formulated with lightweight ingredients & loaded with antioxidants this range will keep your skin looking healthy and silky smooth without leaving your skin too oily or dry. Dry skin sufferers – let us introduce you to the Skin Recovery Collection. Created with loads of antioxidants, ceramides, and peptides this series helps restore and maintain radiant skin that not only looks younger, but acts it. Also suitable for Eczema and Rosacea. Liquid, Gel, Lotion, AHA or BHA – every regime needs an exfoliant. These game changing products are the secret to glowing, gorgeous skin. Used after cleansing & toning, these brilliant products keep skin in tip top shape by shrinking pores, preventing breakouts and calming any redness. Targeting a multitude of skin concerns (wrinkles, sun-damage, brown spots and blemishes) – the RESIST range for Wrinkles & Breakouts helps stimulate collagen production in skin whilst unclogging pores and calming skin. For normal to oily skin types. Experiencing dull, dehydrated, sun damaged skin? Have a wrinkles and fine lines to boot? Say ‘hello’ to the RESIST Collection for Wrinkles & Dry Skin. Gentle, soothing and lightweight – this range works overtime to correct any discolouration, fight wrinkles and preserves skins moisture balance. Need a little extra something to perfect your skin routine? Have a browse through the RESIST treatments and boosters – allowing you to customise the strength of your skincare products to meet your individual skin concerns. Designed for complex skin conditions, this range of products is designed with ingredients not normally found in standard skincare. From the 1% Retinol Treatment to the Clinical KP cloths expect nothing but the best skin of your life. Paula’s Choice isn’t just about skin. From treating such concerns as chapped lips & acne to providing you with the perfect sun cream and fake tan – it’s all here! Since the age 11, Paula Begoun struggled with skin issues. After learning that the products she was using contained such harsh ingredients as acetone (main ingredient in nail varnish remover) she decided to take matters into her own hands. Paula began researching and passing on her honest product reviews to customers which gave her the nickname of ‘Cosmetics Cop’. Her Paula's Choice skincare line followed soon after. 20 years on, Paula continues to create revolutionary “no-nasties” skincare. From the best-selling range of BHA and AHA exfoliants to the innovative “Resist “Range” – get ready to discover the best skin of your life. AHAs and BHAs gently remove dead skin cells and increase cellular formula thanks to their chemical makeup. They can actually work more gently on skin than traditional scrubs or exfoliating brushes as they are able to penetrate deep into layers of skin to reveal the newer/radiant skin which is below the surface. What’s the difference between BHA and AHA and what should I use? Both BHA and AHAs do a wonderful job in removing built up skin cells, unclogging pores, stopping breakouts, and smoothing wrinkles (generally just getting rid of dull skin). That being said, there are some skin types which are more suited to one or the other. AHA (alpha hydroxyl acid aka glycolic acid): Of the two, AHA’s focus on the uppermost layers of skin. So, this is best for anyone with sun damage as their main skin concern. BHA (beta hydroxyl acid aka salicylic acid): BHA’s can be used for a wide array of skin concerns [note: do not use if allergic to aspirin]. Not only does it have anti-inflammatory and antibacterial properties but it’s able to penetrate deep into the skin which makes it ideal for treating acne, blackheads or enlarged pores. What should I use if I’m concern about wrinkles and sun damage? Resist for Wrinkles + Sun Damage. Designed for those with normal to dry skin, this comprehensive anti-ageing range includes an AHA along with a plethora of products which help target brown spots, sun damage, dehydration along with fine lines and wrinkles. What should I use if I have wrinkles but still suffer from breakouts? Resist for Wrinkles + Breakouts: Adult acne sufferers – you’ve been heard! The Resist range for wrinkles and breakouts helps eliminate fine lines and wrinkles but also helps with blemishes and enlarged pores. You can shop the full collection at Beauty Expert, available with free delivery.